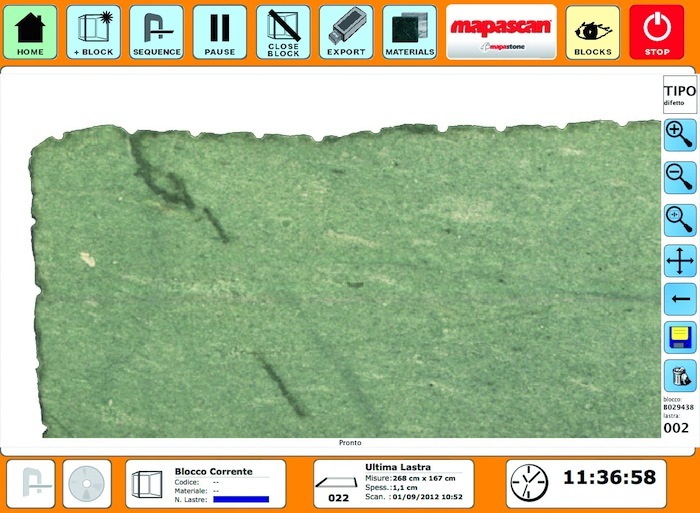 The great properties of Mapascan allow a very careful analisys of the scanned slab, done from the production line or from the offices, even through the Internet. You can control in real-time the production line and accurately inspect any minimal detail. Today, tomorrow, within a month or whenever it will be needed.